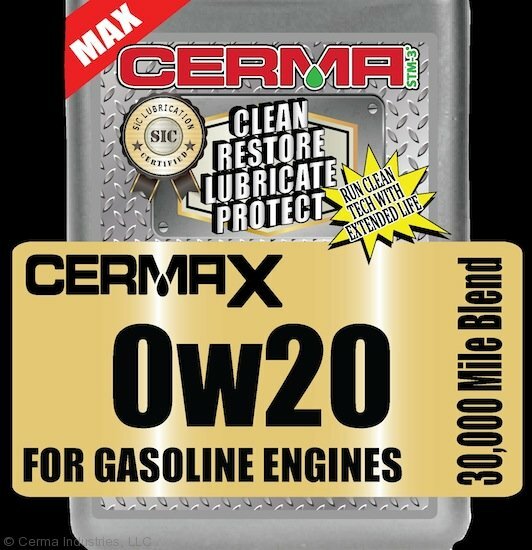 CERMAX 0W20 is a premium 30,000 mile blend with carbon and moisture guard to provide MAX wear protection for your vehicle. 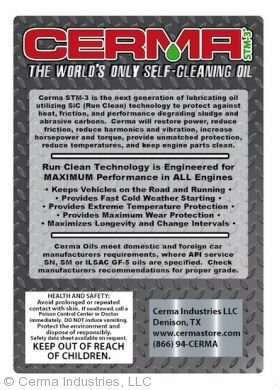 Your oil needs to work harder than ever where higher temperatures, higher soot loading and the requirement for lower exhaust emissions are a fact of life. CERMAX 0W20 Motor Oil has been formulated to provide Triple Protection against wear, deposits and emissions to help you and your business benefit from long engine life and lower operating cost. 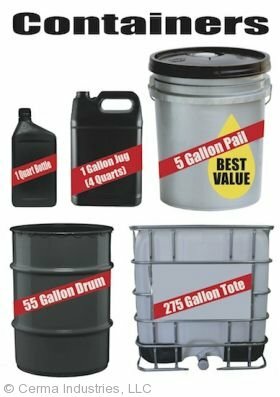 One Oil does it all! 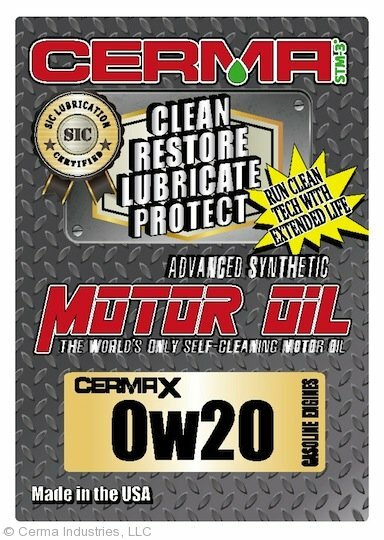 Cerma 0W20 Motor Oil provides Maximum Protection to all vehicle types, both new and old. 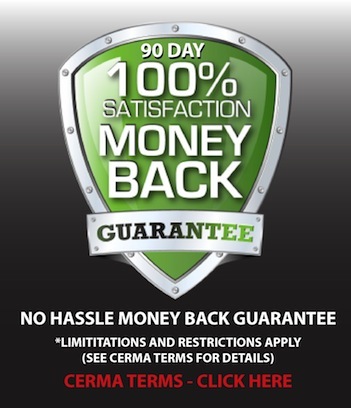 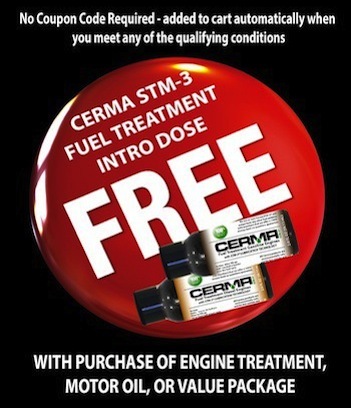 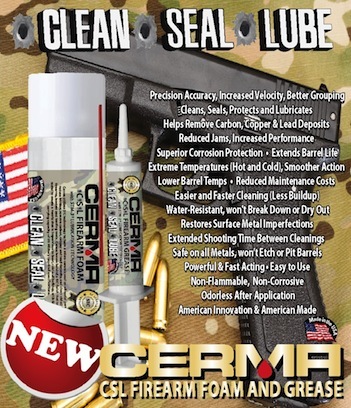 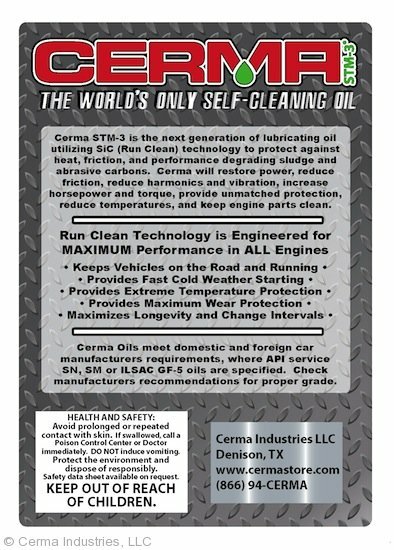 Cerma 0W20 is both the perfect break in oil and the best performance oil on the market today. 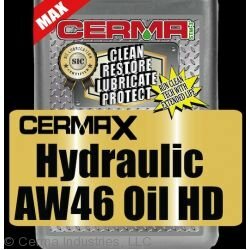 CERMAX 0W20 Grade Motor Oil provides superior all season protection in a wide variety of vehicles. 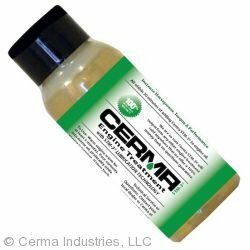 CERMAX 0W20 is recommended for all types of modern vehicles including high-performance, turbo-charged, supercharged gasoline and multi-valve fuel injected engines found in passenger cars, SUV's, light vans, and trucks. 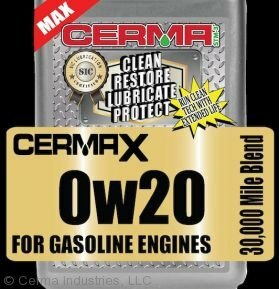 CERMAX 0W20 is a general purpose engine oil for all types of vehciles where a 0W20 viscosity is recommended. 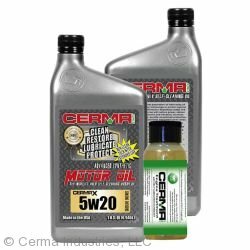 Cerma Motor Oils meet domestic and foreign car manufacturers engine requirements, where API service SN, SM or ILSAC GF-5 oils are specified. 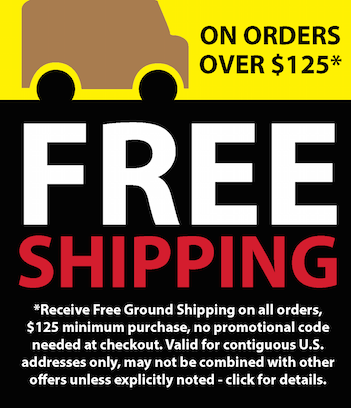 Check manufacturers recommendations for proper grade.